Splyce and eUnited both qualified for the Stage Two Playoffs. James “Clayster” Eubanks proved all of his doubters wrong this weekend as he led his new squad to a first-place finish in Group Yellow of the Call of Duty World League Global Pro League. The Call of Duty veteran helped eUnited secure their playoff berth with a 2-0 performance on Sunday at the MLG Arena in Columbus, Ohio. 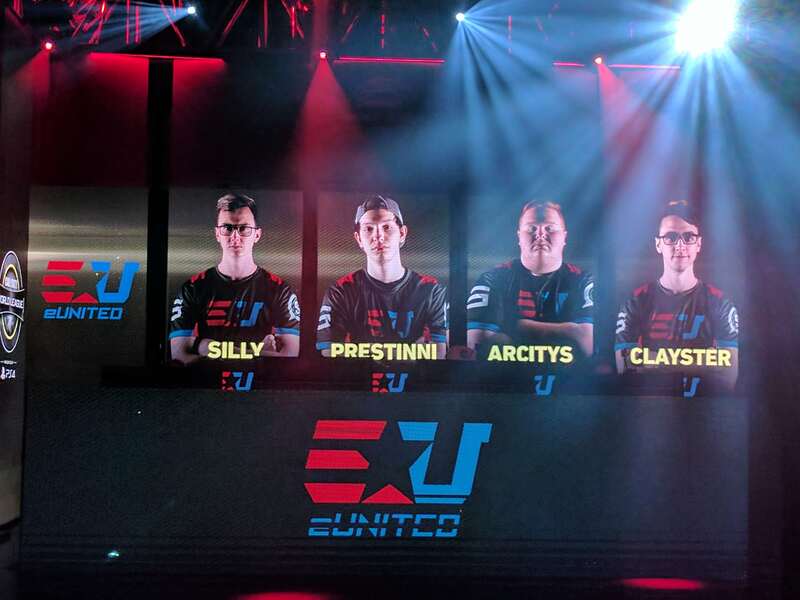 EUnited began the day with a strong sweep of Red Reserve, and followed that up with a dominant 3-0 victory over Splyce, the CWL Stage One champions. Clayster and crew took down Red 250-143 on Breakout Hardpoint, 6-3 on Retaliation Search and Destroy, and 8-6 on Frost Uplink to guarantee a top two finish in their group. Heading into the final match of the night, eUnited only needed to win one map to secure the top seed in Group Yellow—but obviously they weren’t going to be satisfied with just one map win. EUnited came out of the gates firing on all cylinders, locking up first place with a 250-193 win on Throwback Hardpoint. Clayster and crew then won Retaliation Search and Destroy 6-4 and Throwback Uplink 3-2 to end their weekend with yet another sweep. Splyce surprisingly didn’t win a single map on Sunday, since Rise Nation also swept them earlier in the day. But it didn’t end up making a difference, because when eUnited swept Red Reserve, Splyce earned the second seed in this group. EUnited ended this weekend’s action with a 5-1 record, while Splyce came in second at 3-3. Red Reserve beat Rise Nation on Sunday to finish in third place in Group Yellow, while Rise disappointingly went 1-5. Splyce and eUnited will join Luminosity, Fnatic, FaZe Clan, and Enigma6 in the CWL GPL Stage Two Playoffs later this month. We’ll find out the last two playoff teams next weekend when OpTic Gaming, Team EnVyUs, Epsilon Esports, and Cloud9 travel to Columbus to compete in Group Green.